Moving is usually a stressful time for most people because of the time and preparations it requires. It also costs a lot of money. After a relocation, it is critical that you review the insurance for your new home to protect yourself and your finances. Because accidents happen all the time, there is no time to waste. Just imagine what it would cost to repair a roof, or to settle a claim due to injury to a third-party which happened on your property. There are many types of home insurance available for Canadians. The trick is to find the right home insurance that gives you adequate protection at an affordable price. In order to find the home insurance that is right for you, compare home insurance quotes from the best home insurance companies in Canada. Experienced brokers representing multiple insurers can provide you with accurate offers that you can consider based on your needs and budget. Make sure that your old home, your brand-new home, and its contents are adequately covered during the transfer for your peace of mind. Do you really need home insurance? Unlike car insurance, there is no law in Canada that requires homeowners to buy home insurance. But because your home is probably the biggest purchase you have ever made, you would surely want to protect it. If you purchased a home with a mortgage, you would be required to obtain home insurance by your lender to protect your dwelling as well as an additional insurance called mortgage insurance protection which is designed to protect the lender from borrower default. (required only if you paid less than 20% down-payment). How much home insurance do you need? Do you have adequate coverage for the building, including its contents? Many people buy home insurance but don’t really take the time to understand how it works. Below are 5 things you need to know about home insurance which can help you to avoid financial losses in the future. When buying home insurance, you must first determine what you need to get the right kind of coverage and pay only a fair price. There is nothing worse than filing a claim from your home insurance only to find that you can’t receive compensation because your policy does not cover it. Understand home insurance coverage and get the best protection for your money. 1. What kind of home insurance do you need? There are 3 types of homeowner’s insurance you can consider – comprehensive, basic or named perils, and broad home insurance. Comprehensive home insurance provides coverage to the building as well as its contents (with some exclusions). It is the most inclusive type of policy and protects against risks such as fire, lightning, theft, and vehicle impact. It is possible to add optional insurance for earthquake or sewer back-up. Basic or Named Perils only covers risks that are specifically stated in your policy. It is cheaper than comprehensive insurance but covers fewer perils. Broad home insurance is a compromise between comprehensive and basic home insurance. You can have comprehensive coverage for the building and opt for named perils for the contents to reduce the cost of the premiums. Flood or earthquake insurance are generally separate insurance policies from your home insurance. Choosing the right home insurance would depend on the risks to your property and your budget. 2. What is contents insurance? Contents insurance provides protection against loss or damage to the contents of your home such as appliances, furniture, and personal belongings. If you are wondering why you need contents insurance, think about the cost of replacing an expensive item in your home. How much would you lose if your laptop, jewelry, or all of your clothes are lost in a fire or burglary? You can choose between cash value or actual cost for your contents insurance. Cash value means you will be reimbursed for the amount of a lost or damaged item if you were to sell it in its present condition. Actual cost means you will be reimbursed for the amount that you paid to purchase the item. Of course, coverage for the actual cost will mean higher premiums than cash value coverage. 3. How much insurance do you need to rebuild your home? Many people get confused about how much their home should be insured for. To make sure you don’t spend more than you should on home insurance, never include the value of your land as you don’t need to replace the land in case of a fire. The amount you need for your home insurance must be equal to the cost of rebuilding your home. Don’t assume that the actual cost should be what you paid for when you bought the property. Further, market value is not the same as actual cost. 4. What is liability insurance? If someone gets injured while on your property and you were held legally liable, the liability insurance part of your home insurance will give you protection from the financial repercussions, up to the limit stated in your policy. It will also protect you in the event that you accidentally cause damage to others, no matter where you are. This is critical as legal expenses as well as a claim can wipe out your savings. 5. Do you need optional insurance? Despite their names, comprehensive or all-risk insurance does not cover all risks. Covered risks may differ from one insurer to the next, and depending on your location. Sewer-back up is a risk that has caused thousands of dollars in damages to homes all over the country. Unfortunately, it is not commonly covered by home insurance and needs to be added as an optional insurance. Your home is unique; you can customize your home insurance based on your needs. Generally, home insurance coverage includes dwelling, contents, and liability. Speak to a qualified broker to find the right home insurance at the best price. An insurance professional is the best person to give you advice regarding the type of policy you need, the amount of insurance that suits your property, and how to save on insurance premiums. How does relocation affect your home insurance? Are you keeping your old address or selling your home and buying a new one? Are you planning on renting an apartment in your new location? Moving affects your home insurance in several ways you may not be aware of. ✓ Prior to your move, you must check with your insurance company if your personal belongings are covered while in transit. Be aware of any exclusions and get moving insurance if needed, especially if you are moving valuable items. ✓ If your old home will be vacant for an extended period of time, inform your insurance company. Your insurer could deny coverage if there is a fire or water damage if your home is vacant for 30 days or longer. ✓ Inform your insurance company if you plan to rent out your old home. ✓ If you plan on asking your current insurance provider to cover your new home, give them a timeline for your relocation. Make sure the old home and the new one are adequately covered, along with the contents, during the switch. ✓ If you are making a temporary move and renting an apartment in a new location, speak to an insurance broker about renters’ insurance or contents insurance. Vacant home vs. unoccupied home: what is the difference to insurers? If you are currently waiting for your home to sell but already living in a new one, or you are looking to rent it out after renovations, you have an unoccupied home. Ownership of such a property carries certain risks and many insurers may deny coverage. In Canada, insurance companies apply a 30-day vacancy rule, whether or not the homeowner has paid the premiums. After 30 days that a property has been vacant without the insurer being informed, the policy can be declared void. However, property owners can obtain a vacancy permit from their insurer so that coverage is not canceled but this add-on must be bought. Vandalism and malicious acts may also be excluded. It is significant to note that if a property holds furniture, it indicates that the owner is returning and the property is considered unoccupied, not vacant. Can you get insurance for an unoccupied home? A standard home insurance policy usually allows coverage for an empty home for only 30-60 days. After this time, if your home is burglarized or damaged by water, you won’t be covered. Unoccupied homes are at risk for burglary, malicious damage, and for structural damage such as burst pipes. The good news is that unoccupied home insurance from some insurers can be obtained for periods longer than what standard policies allow. The property is under probate. Keep in mind that policies will differ between providers so always read the fine print and examine documents carefully before buying home insurance. If you sold your home and moved to a new apartment temporarily, you need renters’ insurance. Unlike your homeowner’s insurance, a renter’s insurance policy covers only your personal belongings in a rented home, apartment, or condo. It is much cheaper than home insurance and is specifically designed to protect a renter. While your landlord’s insurance takes care of protecting the building you live in, it doesn’t cover the personal belongings you keep in the rented home. It also won’t protect you from liability if someone gets injured while visiting you. Renters’ insurance can replace your valuables and other belongings in case of loss or damage. It can also protect you from financial losses in case you are held responsible for an event such as a fire that results in damage to other units. Unique to renters, this type of insurance also offers additional living expenses’ coverage which will help you pay for temporary housing and food in case of a covered risk. Many things can be forgotten during a move because there are so many things that need attention. But whether you are buying your first home or already into your second or third home, you must still keep your home insurance in mind. Here are answers to frequently asked questions about moving and home insurance which can help you be more prepared for protecting your new home. When do I cancel my old home insurance and start a new policy for a new home? It is advisable to call your insurer as soon as you make an offer on a new home. Your insurance company can give you advice about the risks in your area (earthquake, flood, etc.) and how much your new home insurance could cost. Ideally, your old insurance should be canceled on the day you lose ownership of the property and start coverage on a new home the moment you become its legal owner. Who do I call regarding my relocation? It is important to give your insurance agent or broker a call when you plan to move. 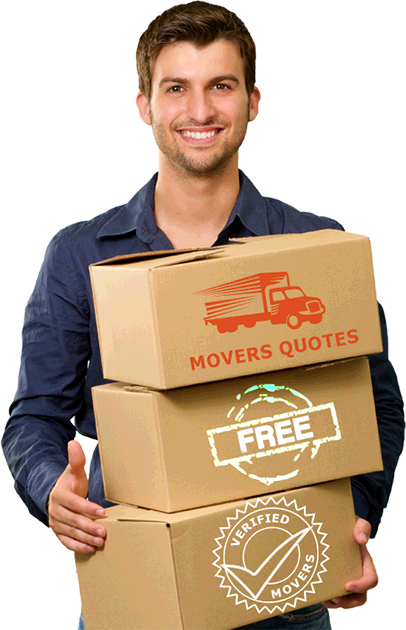 He can help you ensure that your insurance coverage is timed properly and that there is no gap that would leave you exposed during your move. Do I still need insurance if I am renting a condo? Your landlord will have his own insurance to protect the building but it won’t cover your personal belongings. For this reason, it is highly advisable to get renters’ insurance. It can protect your personal property including clothes and jewelry in case of theft or fire. Incidentally, renters’ insurance is so much cheaper than homeowners’ insurance but provides valuable protection against losses. Can my old home insurance be transferred to my new home? It is possible for you to stay on with your home insurance company, especially if you like their service or are satisfied with their prices. However, your new home is a different property with different risks and a higher or lower cost to rebuild. This means you will need a different policy which may also have a different price based on factors such as location, size, age, materials, etc. When it comes to protecting your home, comparing home insurance quotes is critical. Always be one step ahead by speaking to experienced insurance brokers in your area regarding your home insurance needs. The rule of thumb is to have home insurance that would be adequate to cover the cost if you need to totally rebuild your house. For contents insurance, determine the value of your personal belongings and make sure that the sub-limits are adequate to replace the cost of the items. It is possible to have actual cost value for the dwelling and cash value for your personal items in order to save on the cost of premiums. The cost of home insurance depends on several factors. First, you need to decide on the amount of your deductible (the amount you will have to pay out of pocket in case you file a claim). The lower the deductible, the higher the premium. The value of your home and its contents will also have a huge impact on the insurance rate, your history of claims, and other variables including the age of the home, the location, and even your credit score. How should I compare home insurance quotes? If you want to get the best deal on your home insurance, it is important to compare multiple quotes from different insurers. It is best to get at least 3 quotes before making a choice. You can compare free online quotes from independent online platforms to get accurate prices. Compare factors such as covered perils, amount of coverage, price, customer service reputation, and record for claims processing of the insurer. Keep in mind that every home insurance policy has its limits, meaning the maximum amount that can be paid for any loss. When comparing, make sure that you are comparing for the same coverage limits, amount of deductible, and covered perils. The policy that you eventually choose should fit your needs. Moving to a new house or a new city can be an exciting time but don’t forget your home insurance! When we move, we usually bring with us all of our valuable possessions – the things that we cannot live without. With that being said, it would cost us maybe everything we have in the bank, or maybe more, to replace our home and our personal belongings. Home insurance can be confusing to navigate. We know you have many questions in your mind that you want answers to. The best thing to do is to speak to a qualified and experienced insurance broker to get valuable advice and get the right type of protection for your assets. Remember, you can save thousands of dollars by comparing home insurance quotes when you relocate to a new home!